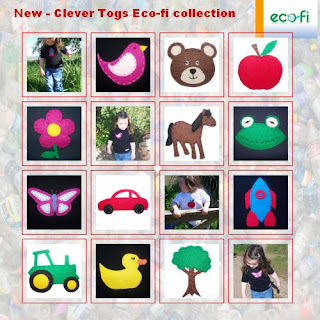 These hand-appliqued designs are made using Eco-fi; a fantastic and innovative felt fabric made from recycled plastic bottles! We bring you an exciting array of bright and vibrant designs using this gorgeous, eco- friendly fabric. Appliqued, as ever, onto 100% certified organic cotton t-shirts and baby lap t-shirts. Kind to your little one's skin and our planet!